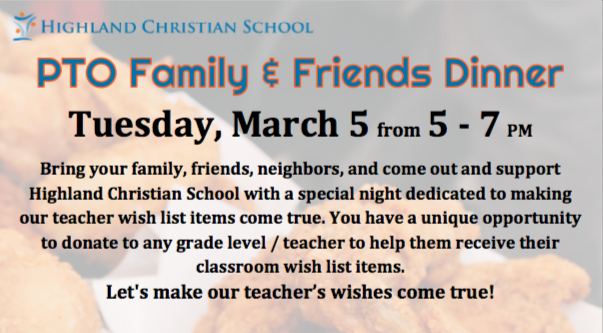 Home » Blog » News » PTO Family & Friends Dinner RSVP Today! PTO Family & Friends Dinner RSVP Today! To view the full menu and RSVP click HERE! Let’s have some fun together and make these teacher wishes come true. To RSVP ONLINE click HERE.